This buttery, light cake is speckled with walnuts and notes of citrus then layered together with a fruit preserve center. It’s a seasonal treat that is perfect for cozy Autumn days and holiday occasions as well. Today, we’re serving up a slice of Walnut Tea Cake alongside Bigelow Pumpkin Spice Tea. 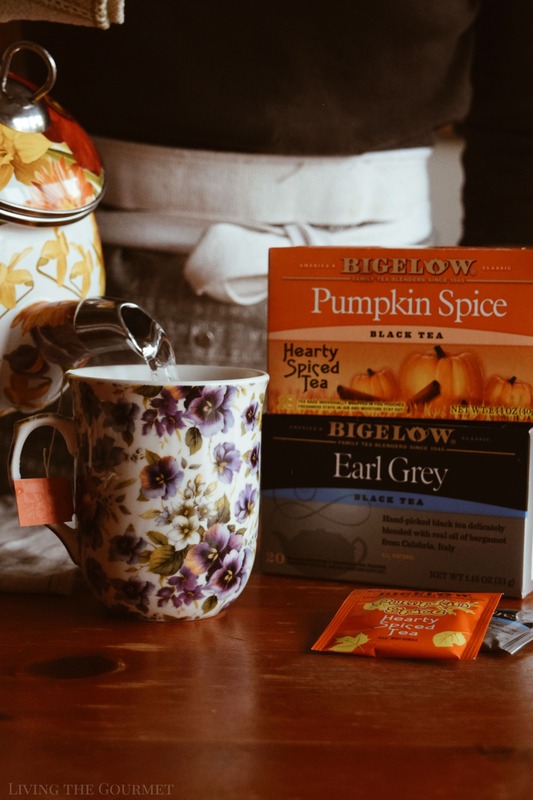 If you’re interested in trying Bigelow, hover over the image below to shop their variety of seasonal and classic blends available at Walmart! “Of all the wonders of nature, a tree in summer is perhaps the most remarkable: with the possible exception of a moose singing ‘Embraceable You’ in spats,” as Woody Allen remarked. There answer is plainly that, for me, ‘Autumn in New York’ is the ‘most remarkable of all the wonders of nature,’ while pumpkin spice is the ‘singing moose’ portion of Mr. Allen’s equation. Cue a thousand pairs of rolled eyes. Yes, I know, the preponderance of “pumpkin spice everything” has entered the realm of meme material poking fun at leftover hipsters past their prime clinging to the ‘once cool lattes of yesteryear,’ but for me pumpkin spice is simply the flavor of the season. It’s warm and vaguely hardy, spicy in that ‘earthy’ way that conjures images of hearth and home, and it just…it tastes like the changing of the leaves. For me, pumpkin spice is to autumn what tea is to a rainy day spent by the bay window; combining those three things, well, now that’s simply bliss. 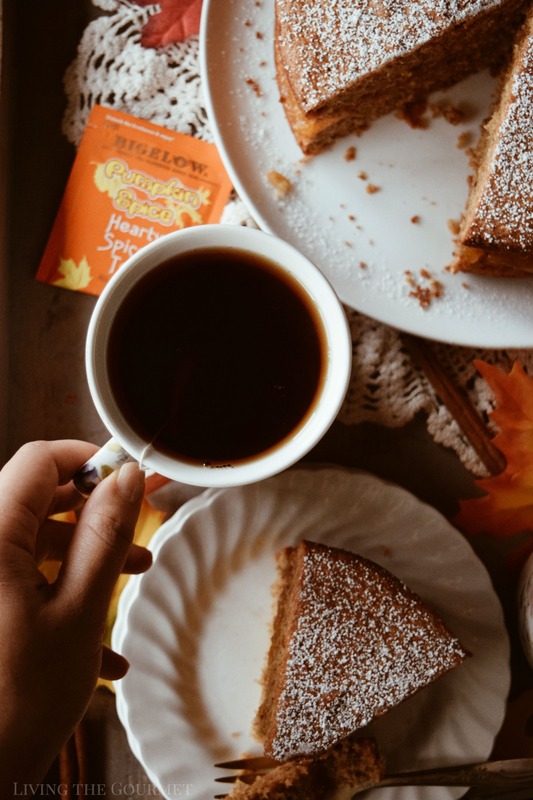 Picture a lazy autumn morning, and a hot cup of natural pumpkin flavor, hints of licorice root, cinnamon, ginger and cloves, set against a backdrop of black tea. Naturally, I’m describing Bigelow Pumpkin Spice Tea. Bigelow has been, my family’s tea of choice for quite literally my entire life due to its reliable quality and simply delicious flavor. Conveniently available at Walmart, the teas come in a convenient foil packaging which seals in freshness and flavor. 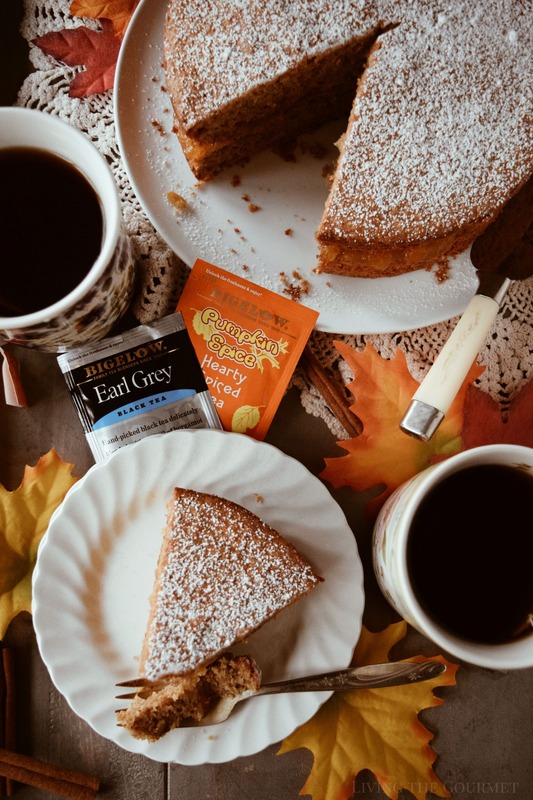 Today, alongside my seasonal favorite Pumpkin Spice, I’m also serving Earl Grey, another fine blend of black tea and bergamont oil from the gardens of Calabria. Now, being who and what I am, why stop at the tea? 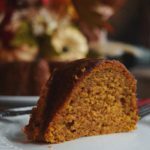 Why not have an accompanying slice of ‘something’ that also comes packed with its own assortment of quintessential fall flavors? 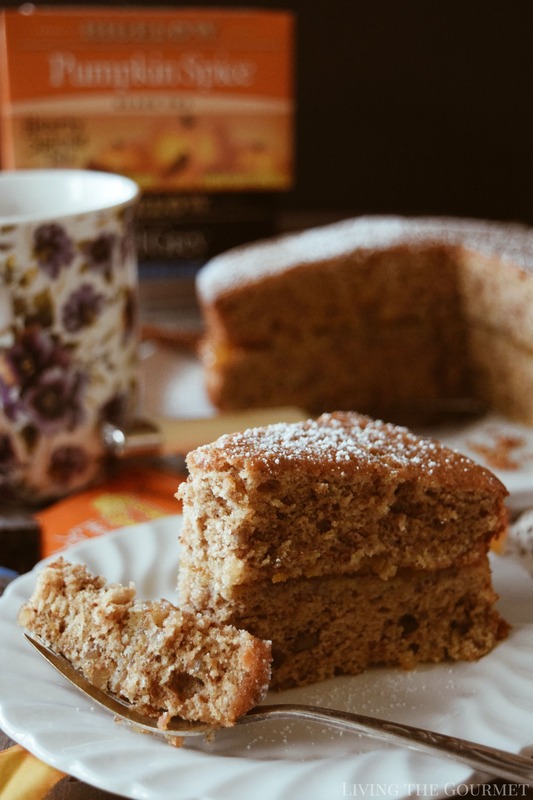 That, of course, brings us to today’s recipe – Walnut Tea Cake. Today’s walnut cake is almost precisely what it sounds like – a walnut cake that pairs excellently with tea. To start things off, we begin by buttering and flour dusting two nine inch baking pans. After that, combine butter and sugar in the amounts listed below, and mix them until they form a cream-like substance. 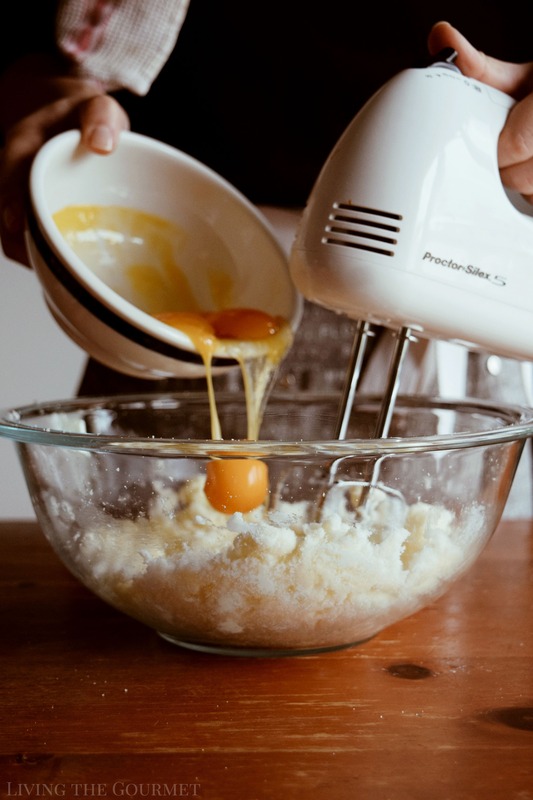 Then add in six egg yolks to the butter and flour, one at time, beating the mixture thoroughly after each yolk. 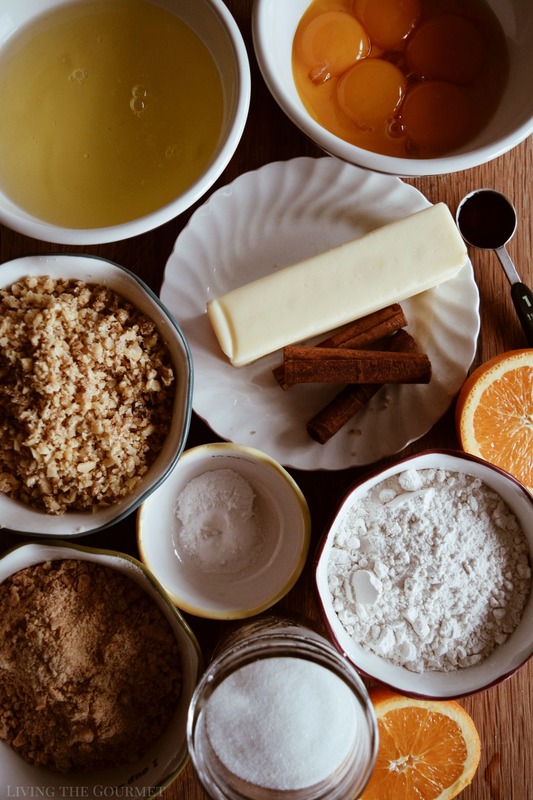 After that, combine graham cracker crumbs, flour, baking soda, and salt, and mix thoroughly before adding to the sugar and flour mixture. Then stir in orange rind and chopped walnuts, and set it aside. Now, whip six egg whites until they stiffen, you want to achieve nice sharp peaks. Once that’s done, fold the whites into the batter, and pour the batter into the prepared pans and bake for about forty minutes. Once the cakes have finished baking, let them cool and remove from their pans. 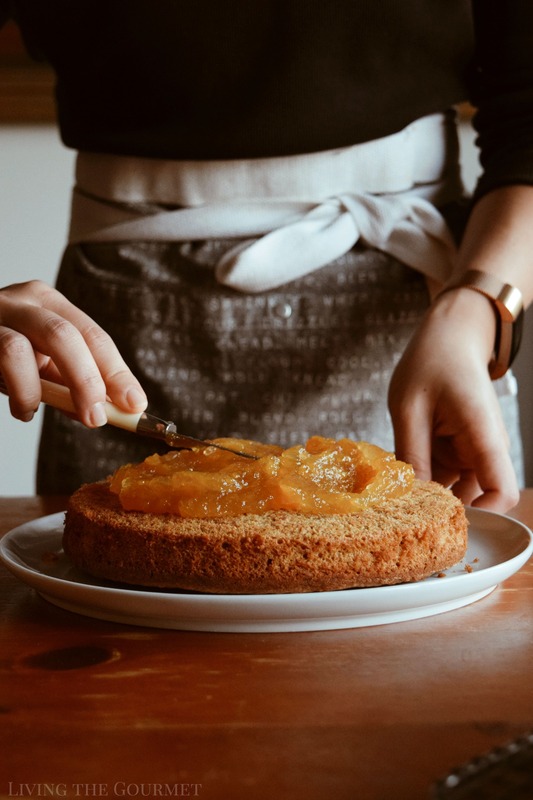 Spread the apricot preserves over the flat side of one of the cakes, then assemble and dust with powdered sugar, and you’re done. 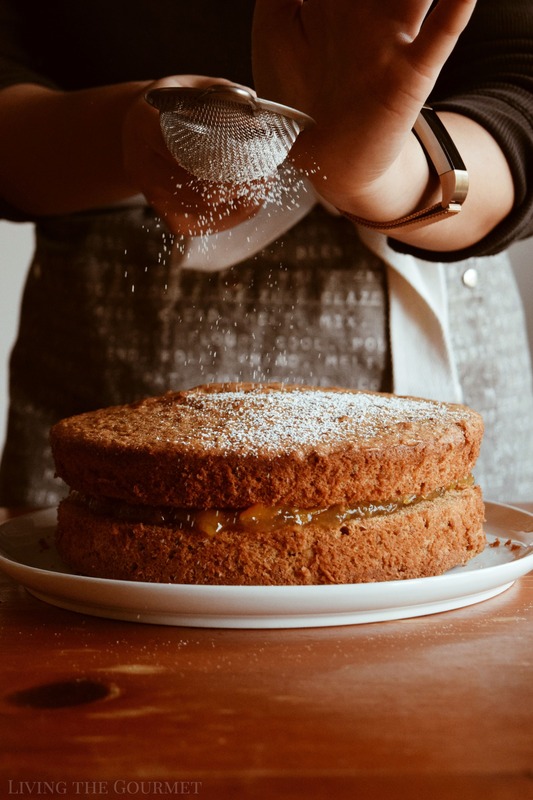 Dust the cake with confectioners’ sugar and serve. 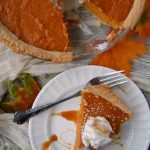 Served alongside Bigelow Pumpkin Spice Tea or any other preferred Bigelow tea, and this is simply a perfect fall dessert. Holy. Moly. Well, it looks like I'll be making tea time a part of my life from now on. I love a nice tea, and that cake looks AH-mazing! Ahhh this sounds divine! 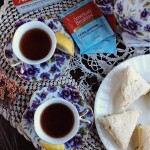 I love having a daily afternoon tea so I might have to make this to go with it each day! That looks tasty! I grew up with a different type of teacakes (my grandmother made them -- a less sweet version of a sugar cookie) but perhaps I will try to add this to my rotation! Thanks! The tea cake looks absolutely irresistible made with walnuts! I am quite interested to find how the cake will taste like when orange juice and orange zest are added. Glad to know my favourite walnuts are included in this recipe. Walnuts are healhty choice for brain. 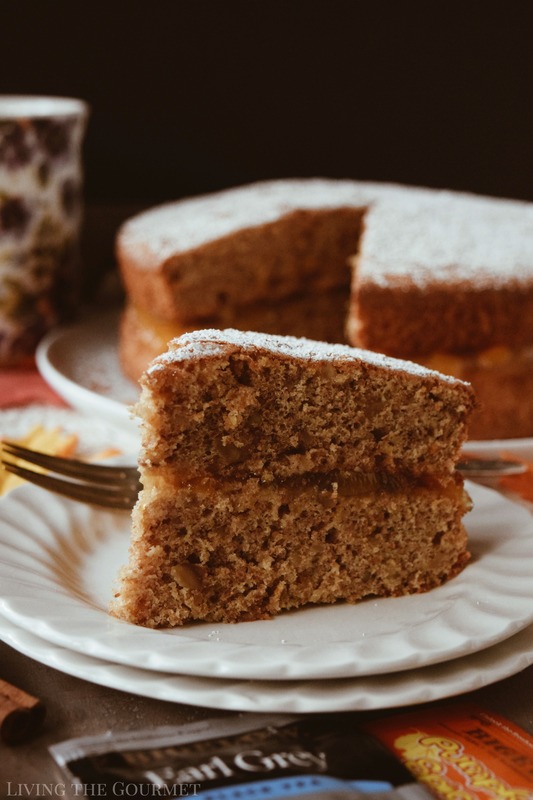 I have never tried to do this kind of cake flavor but this walnut tea cake recipe looks really delicious and looks so easy to make. I will definitely try this, thanks for sharing! I love rustic desserts. This cake is also a great addition to the brunch menu. I would have no problem eating it for breakfast. Wow! This cake looks absolutely delicious, especially in your lovely photography. I’m so bad at baking but you make me want to practice as I’d love to be able to make this!! Pinning. Making. Oh my yummy yum! I love the sound of tea and cake. It just seems like such a posh thing to do haha This walnut tea cake sounds so lovely. Will try it soon and report back with all my compliments! Love rustic cakes and this sounds so simple and easy. Love walnuts so this would be perfect of us on a fall evening tea break. Saving this for later. What a delicious and flavorful looking tea cake that is. Adding walnuts and that apricot fillings sounds amazing. Perfect snack cake for this time of the year. never had teacake but i'd be willing to give this a try. it sounds pretty good! This cake looks really delicious. I love the preserves filling in the middle, for a wonderful contrast of texture in every bite. Oh God, this cake impresses me! My whole family would go crazy for these! I want to try it immediately. I really like this recipe. It really impresses! An interesting mix of ingredients. Thank you! MMMMM! That cake looks so good. I've already pinned it to make as soon as I can get to my bakeware. I bet it smells wonderful and it tastes even better. I was just at the store to pick up my morning tea -- I drink Bigelow's Constant Comment. Hubby drinks decaf coffee in the morning and I like just a bit of caffeine. I love the taste!! I'll have to keep an eye out for the pumpkin flavor. Now, this recipe will be one of my favorites. I want to eat it every day! I'm sure this is very tasty. This is a great recipe for me. This cake looks incredibly tasty! I love the ingredients you used. I am going to try it at the brunch I am catering later this week. This is a great recipe. It’s looks sooo good! I can’t wait to try it. This looks really delicious. I will send the recipe to my sisters for them to try. They love makin stuff like this. This cake looks so yummy! I can't wait to try he recipe out! Oh this cake looks soooo good. SO good! I can see myself sipping my noon tea and having a slice of this deliciousness. I'll be making this cake soon for sure. Your pictures are so mouthwatering! I love the work on light you did they seem so warm! I will definitely try your recipe Im so curious about what tea in cake would taste! Thank you! This looks and sounds delicious! I love the color, the texture and heck, everything about it. Perfect too with the apricot preserves! I love this cake, looks absolutely delicious ! hugs! This cake looks delicious! I am loving your photos too! I cannot wait to try! This is the perfect cake for brunch, dessert, and an afternoon treat. Rustic, simple and FULL of flavour!! What a very interesting batter: graham crackers mixed with the flour. The cake looks soooo good and moist. Your house must smell so good while this cake is baking. This looks so good! 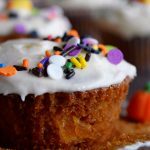 I love a good cake that is simple and yummy without frosting all over the top!! This looks so delicious and absolutely perfect for this time of year. Love all of the earthy flavors you've got going in this dish! It's been just recently that I have started to experiment with walnuts! This is definitely something I would try! And the images look so autumny - give me that fall vibe from the first image! This looks SO amazing and oh so perfect for fall! 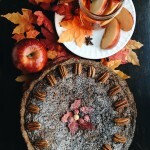 Seriously - this is the PERFECT fall desert! Love all the orange and apricot. This would be so perfect with a cup of hot tea! Love this! I love anything with walnuts and definitely tea cake with walnuts is brilliant. This looks so moist and just plain cozy! I'm gonna have to make this and curl up with a big warm blanket and a cup of tea. Love it! 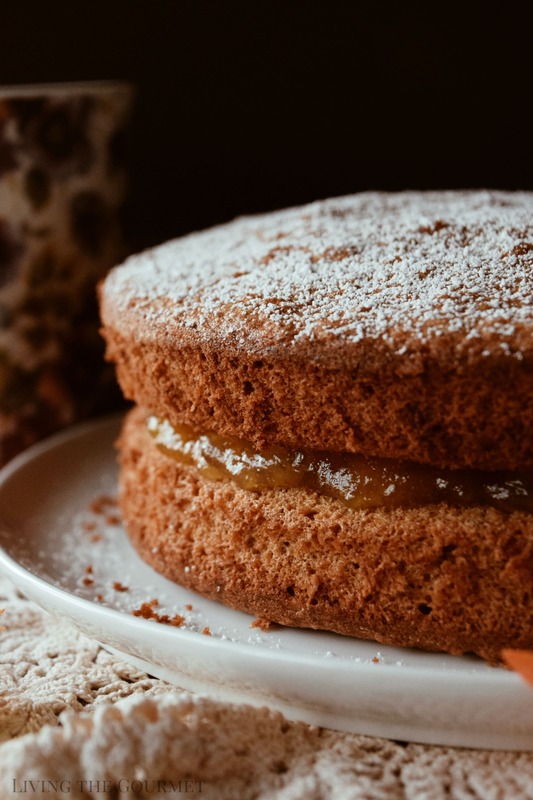 I am a big fan of earl gray tea - what a perfect accompaniment for this gorgeous cake! Fall on a plate for sure! Can I have this for breakfast with my coffee? This looks like the perfect morning treat! Walnut and orange combination is so lovely and delicious. Perfect kind of cake for my afternoon cup of tea! 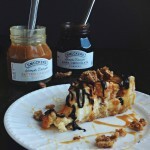 Oh my gosh, I really want a slice of this incredibly tasty walnut cake! Look moist, fluffy and perfectly baked. Oh yes please! I'll take a large slice! I love that you've included ground walnuts in the sponge. Sounds wonderful. Looks like a great recipe. I love tea cakes.